There’s a new sports bar/grill that you should definitely checkout! 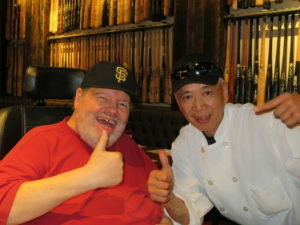 It’s the fabulous Jack Clark’s Pine Tar Grill in San Francisco. I’m not exaggerating when I tell you it’s a SF Giants fan’s dream come true. The joint is loaded with fantastic Giants memorabilia including thousands of game used bats that line the walls. There’s also great photos of our heroes to get any Giants fan’s juices flowing. Chef Remy turns out great ballpark food. There’s a full bar with beer on tap along with plenty of other spirits to quench any thirsty fans thirst. It seems every possible wall space that’s not occupied by a photo or bat is adorned with a big screen TV. Every seat at your table or your barstool will have a good view of the action. It’s the perfect place to watch a Niners game or any football game. 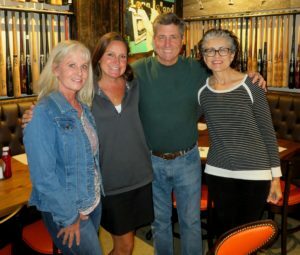 With our World Champion Warriors getting ready for defense of their title Jack Clark’s Pine Tar Grill is a great place to watch Curry shoot the lights out from three point range. San Jose Sharks will look great on the big screens especially with some of Chef Remy’s good grub for you and your compadres to enjoy. When I think of all the dives I used to watch sports in in my younger days I regret that a premo place like Jack Clark’s Pine Tar Grill wasn’t around yet. 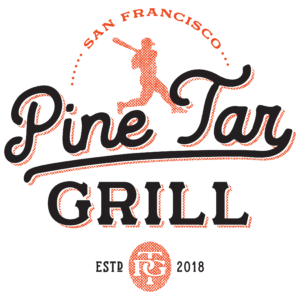 Check out Jack Clark’s Pine Tar Grill soon. You’ll thank me later! Oh, tell Dave Martin that Mavo sent you! ← Silicon Valley Walk to Defeat ALS – Oct. 13th!